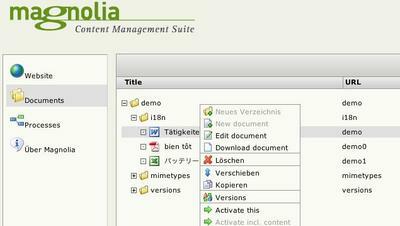 We released Magnolia For Documents today. The demo is up, the download is ready, the press release written and posted in a couple of places. After more than 2.5 years of investing everything we have into Magnolia, this is the first commercial add-on to our otherwise free and open source offering. I am pretty excited about it - after all, this is the moment when we will see if our concept will work - have a great open source offering and sell related products. While I was amazed how much work it was to give something away for free, its also amazing how much work it is to try to sell something. Just different work - make sure that people have to accept your license before they download the software. Have forms to capture leads. Think about pricing. Think about different pricings for NGO's, academic, open-source projects ... it adds up. A thing that should be simple is hard to keep simple. One price for all would be such a nice concept. Anyways, lets see whats next. 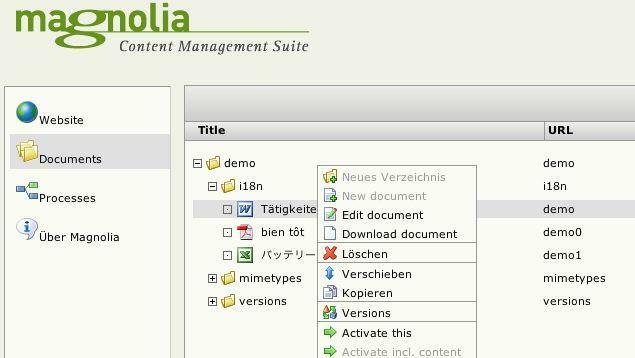 We'll release 2.1.1 any time; then Magnolia For Business Processes. EForms is coming along great but will still be some time before prime time. The community is growing like hell, its more like exploding. I guess we did something right, right?